Kanoni Kassiopi Corfu: Kanoni is a beautiful beach located 35 km from the main town of Corfu. Kanoni is actually a rocky cove easily accessed within a five minute walking from the main settlement of Kassiopi. 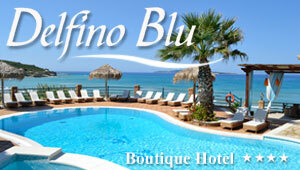 It is one of Corfu's most attractive areas characterized by the crystal clear waters and the fantastic surrounding. The little picturesque beach doesn't allow many tourist facilities except from a few sunbeds and umbrellas. In case you don't want to be at the centre of attention, you can also relax at the rocks under the warm sun. The beach seems quite isolated despite its close proximity to the popular resort. The rough landscape is definitely dangerous for the children while it makes an ideal spot for those who want to enjoy total privacy during the high season.